The term “silver brazing” and “silver soldering” are often used interchangeably. But technically brazing is where the melting point of the filler metal is over 840f but below the melting point of the base metal… and soldering is anything under that. Usually, the more silver content, the higher the melting point and vice versa. But a solder with a silver content of 5% might melt at around 500f less. Both contain silver…but the first is a brazing alloy, and the second is a solder. But whether solder or braze, the objective is much the same. To flow material fully into a joint so that a strong and or leak proof joint exists. A solder or braze joint should have enough contact surface to provide or a strong joint ...an example of this is a copper water pipe soldered or brazed to a fitting. 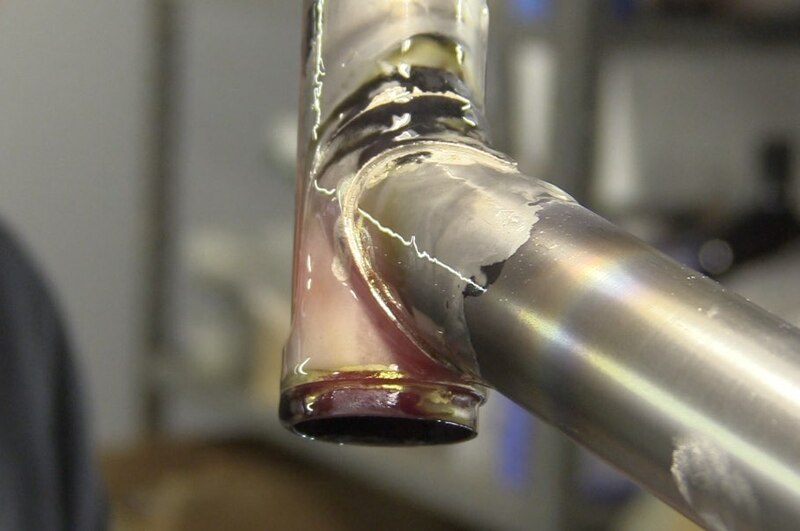 This video is aimed toward silver brazing of bicycle lug joints but all the principles apply to pretty much any type of silver brazing operation. Lets begin with cleanliness. All the surfaces to be joined should be free from oils, paints, oxides, or castings of any kind. 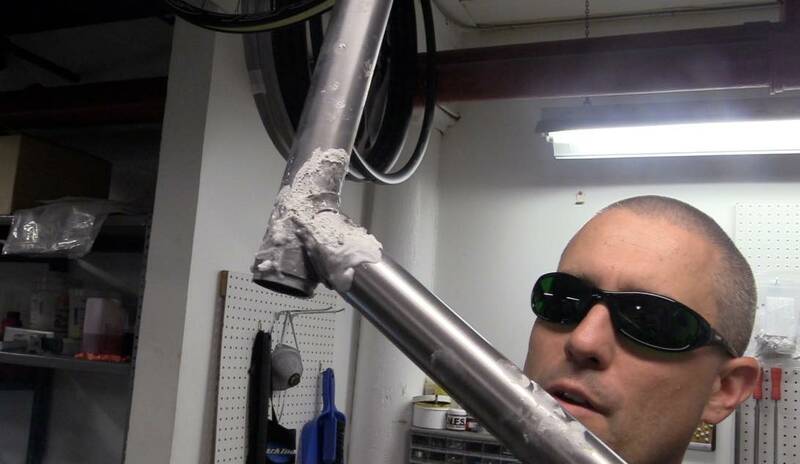 Emory cloth, wire brush, scotch brite, or sandpaper followed by an acetone wipe will give the clean surface you need for silver braze success. Fitment and clearance…different braze alloys demand different clearances. For sliver solder, the fit should be pretty tight. for bronze alloy filler metal the gap can be bigger. Flux…flux is cheap insurance according to Mike Zankonato. And I Agee . I like a lot of flux on any area that’ll get red or pink. The reason is that it is much easier to clean areas protected by flux. Technique…use a slightly reducing/carbeurizing flame and keep the torch moving to avoid hot spots. And heat an area opposite to where you add filler metal. This will help to ensure the filler metal flows all the way thru the joint. 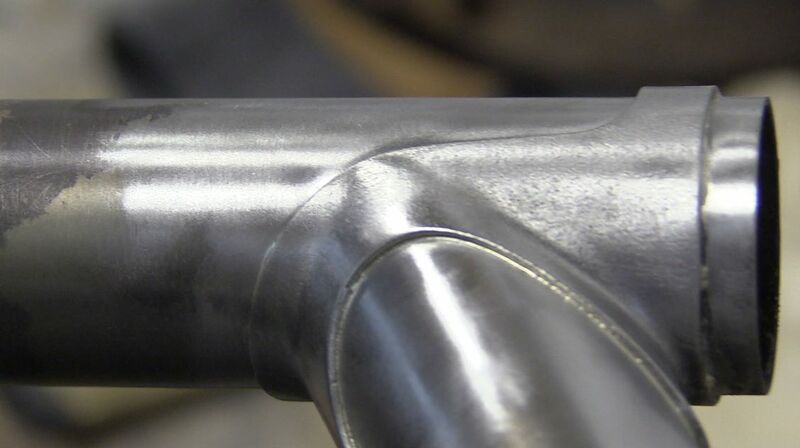 Silver Brazing is a very versatile process and a good one for any welder to know. Silver braze is often used to join carbide tooling inserts for machining operations because with silver brazing, the metal does not typically reach a critical transition temperature that could cause brittleness. I once used silver braze to make a brass belt buckle that had stainless steel hardware on the back size. It is super useful and sometimes a better option than welding.